voestalpine Rotec GmbH produces tubes for FH Joanneum Graz's new 'jr15'. The racing car will be taking part in the Formula Student competition at the Red Bull Ring in Spielberg from August 10-13, 2015.
voestalpine Rotec GmbH has supplied the precision steel tubes for the rear frame on the newly constructed jr15 (Joanneum Racing 2015) racing car belonging to the Weasels, the team at joanneum racing graz. It made its public debut at the Dom im Berg in Graz on April 24, 2015.
voestalpine Rotec GmbH employees, Hannes Hirschler, Technical Head of the project, and Daniel Posch, master craftsman for long tubes, were all present at the rollout of the new jr15 racing car in Dom im Berg in Graz on April 24, 2015. "We place a high priority on research and development. Supporting innovative projects and researchers through our products and know-how is very important to us. " Precision steel tubes for the rear frame. Using the high-strength tubes from voestalpine Rotec GmbH, the students are pushing boundaries to the max: the rear section achieves the lowest possible wall thickness. Consequently, the university team has managed to considerably reduce the weight of the racing car compared to last year’s model. Thanks to the excellent material characteristics of the precision steel tubes from Krieglach, the rigidity of the rear section has been improved. The newly welded lattice framework on the jr15 also makes maintenance easier, for example making clutch exchanges faster and improving engine and gearbox cooling. "The FH Joanneum Graz project made a most interesting change from our everyday work. We were able to give them many helpful tips, and we know: when it comes to quality we can take another step ahead with our precision steel tubes." 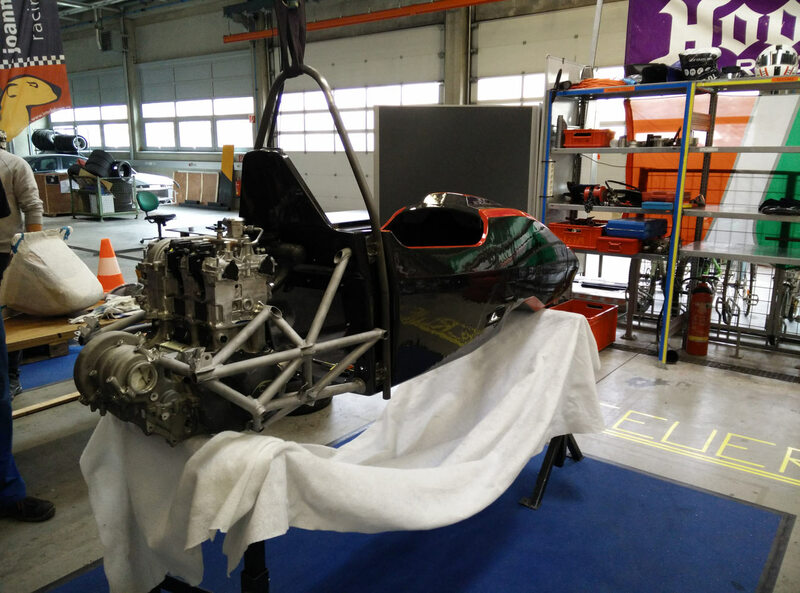 From August 10-13, 2015 the Weasels will be taking part in the Formula Student at the Red Bull Ring in Spielberg, racing their new car against 500 competitors from technical universities around the world.